Mark Owen and his brother Jon established Nomad in Ciliau Aeron, near Lampeter, just six months ago. The pair scooped a Design Management Europe (DME) prize, beating companies from France, the Netherlands, Luxembourg and Belgium. 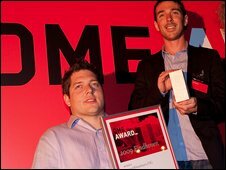 It is believed to be the first mobility company to win a DME award. 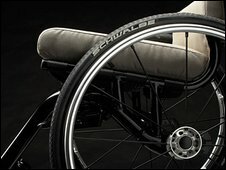 The brothers picked up the award at a ceremony in Eindhoven, in the Netherlands, after winning the "first time design project" category for their wheelchairs. Mark Owen, a wheelchair user, started Nomad with his brother in response to over a decade of "feeling frustrated by the choice of wheelchairs available to the market". The DME awards recognise companies for the management of the complete design process, from product design to branding, marketing and literature. Company director Jon Owen said: "Even to be judged against such strong mainstream and lifestyle companies is a huge compliment."